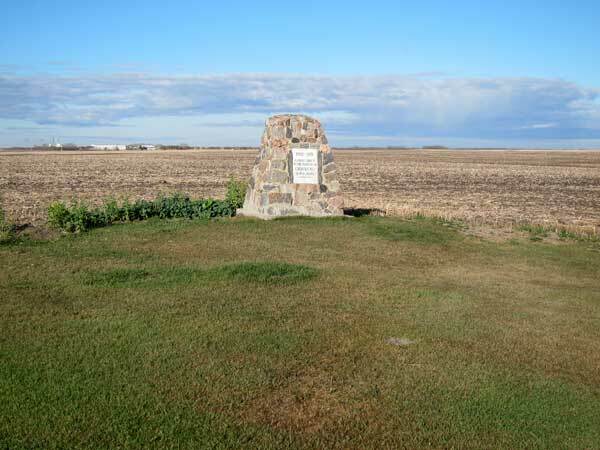 The community of Orrwold was established in 1882, at this site in the Municipality of Hamiota. A post office opened here in December of the following year, operating until January 1922. Supposedly named for the first postmaster, T. W. Orr combined with “wold,” an old English word for uncultivated land, a church was situated here until 1951. A fieldstone monument commemorates the church and pioneers of the district. Post Offices and Postmasters, Library and Archives Canada.